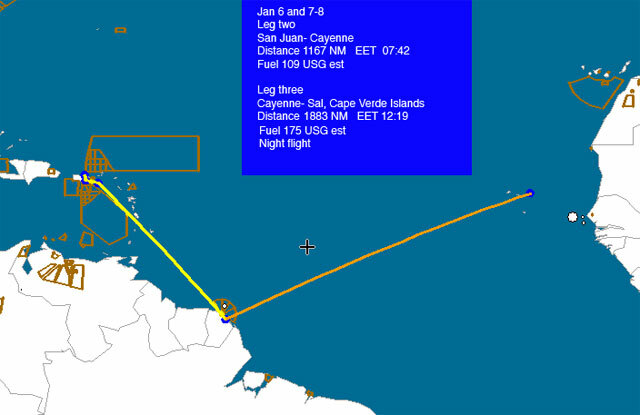 Day two- San Juan to Cayenne, flying over St Croix, San Maarten and Barbados on the way to South America. Day three and four, third leg. Atlantic crossing depends on the position of the ITCZ. Morning is the best time to cross the storm area. Night departure. First rest is in Sal .